Wow, I need a weekend. We had nasty weather around these parts for the majority of last week, but it was the huge changes in atmospheric pressure that did me in. Over the past few years, I’ve developed migraines that seem to be related to the weather. I had several doozies last week and anyone that suffers from migraines knows how debilitating they can be. The weather has finally settled down now and I’m hoping for a weekend where looking at my TV screen doesn’t hurt. That said, I didn’t have a chance to play a whole lot last week. Aside from my weekly game night of Divinity: Original Sin (an hour and a half to beat ONE boss! ), I managed very little time with Watch_Dogs. I’m still on the fence with this one. It is very competent and everything comes together well enough, it just seems to lack personality. I never feel excited or compelled to play it but when I do finally sit down with it, I am always surprised how the hours fly by. The combat works quite well for the cover-based shooter that it is. The controls are fun and I appreciate the way it lets you jump from cover to cover with a single button. Both the stealth and shooting mechanics are intuitive and work better than many games in the same genre. Even better, you can use the game’s hacking abilities to bring electronic death. 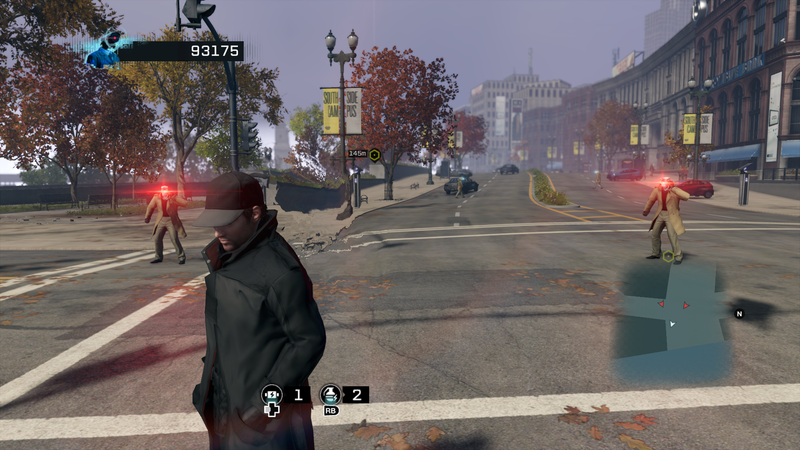 It isn’t like I’m not having fun with Watch_Dogs, but it feels like it lacks overall excitement. The protagonist is somewhat boring and there seems to be a lot more travel than combat in the game, which can become a little tiring. It is a pretty looking game though, so that goes a long way to retaining my attention. Also, the in-car radio has a great selection of tunes and I am often happy just to tool around in the cars. One of the more exciting aspects of the game is the ability for other players to “invade” your game, or missions where you invade other players’ games. From hacking games to racing challenges, there are several scenarios that pit you against real opponents. Just make sure you are a lot more subtle than this player when you are invading someone else’s city. I’m hoping to rest this weekend and get back to a normal schedule. I imagine gaming will be mostly Watch_Dogs when I have a moment, but my family has also started playing Telltale’s Guardians of the Galaxy. I’m not a huge fan of the Telltale games since The Walking Dead, but my son and wife enjoy them and at least it isn’t Minecraft: Story Mode.